If you are trying to keep warm this winter this exactly what you need! 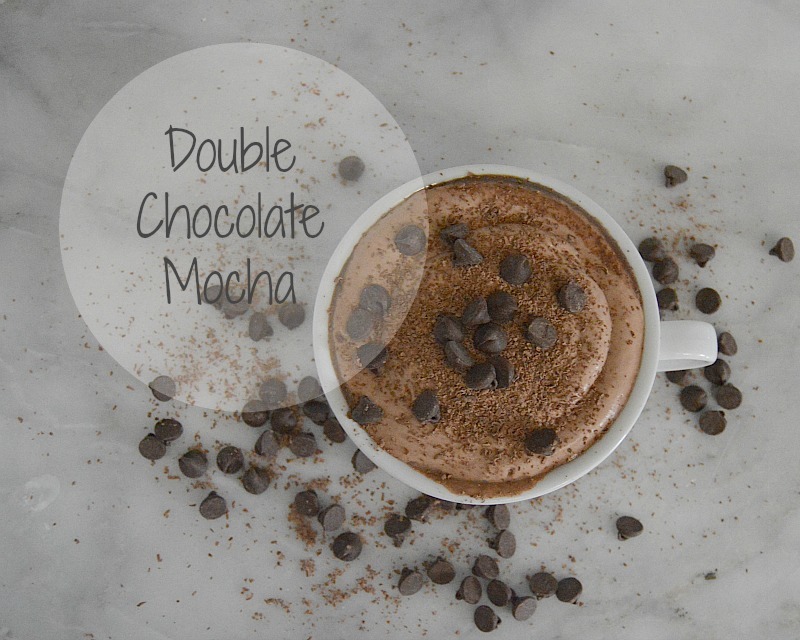 A extra dose of cocoa in the whipped topping makes this double chocolate mocha perfect for any chocolate lover. the combination of coffee and chocolate really gives a rich flavor. 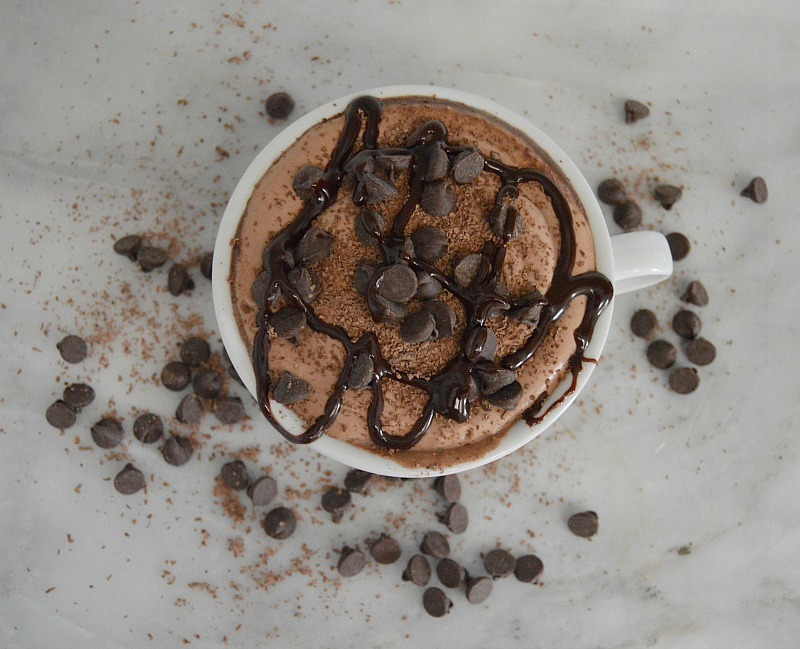 Of course, there is always room for more chocolate on top too …right?!? Pour heavy cream, confectioners sugar, 1/4 cup of cocoa and 1 tsp of vanilla in the chilled bowl. Beat with whisk attachment at a high speed for about 5 or until soft peaks form. it will turn into fluffy whipped topping. Place in a airtight bowl and place in refrigerator. In a small saucepan on medium heat bring milk, 1 tbsp cocoa, 2 tsp granulated sugar, 1 tsp brown sugar, 1 tsp vanilla and chocolate chips to a simmer. Do not boil. Heat to a simmer and reduce to medium low and mix until mixture is melted well. While that is heating, brew coffee. I used a french press and made it strong! Once brewed pour coffee in two cups halfway to the top. Once mixture in saucepan is melted well, add to coffee in cups and stir well. Top with the cocoa whipped topping in the refrigerator and add extra chocolate chips and chocolate shavings if desired. They do make it extra chocolaty. Enjoy! This recipe is easily doubled to make more. You may also want to add more sugar to the finished cup if it’s too bitter. For the chocolate shavings, I grated chocolate chips I had in my cupboard. I also used semi-sweet chocolate powder. Also, you can substitute for store bought whipped cream. There are brands that have chocolate favor. This also comes out well by mixing fresh brewed coffee with a hot chocolate package. Of course, you can substitute and use what you have on hand. Using your favorite brand of hot chocolate with coffee and some ready made whipped cream will also make a great beverage. especially if you are snowed in and are using what you have on hand. There are some brands that carry cocoa flavored whipped cream. Although, when you make it yourself with fresh ingredients it always come out a little richer and more flavorful. If you are a real chocolate lover don’t be afraid to drizzle some chocolate sauce too!